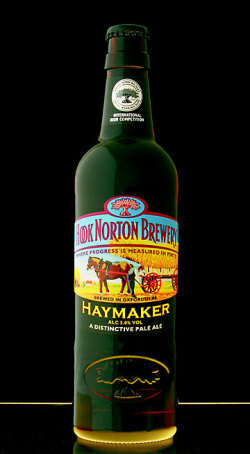 A premium pale ale with distinctive fruity taste. The beer is light in colour, and has a refreshing clean flavour, which belies its strength. UPDATED: NOV 28, 2018 Amber and slightly cloudy, with very little head. The aroma is pretty powerful: deep and sweet and malty, with notes of red apple and whiskey, along with a hint of brown bread. Bitterness is (just about) assertive enough, lingering nicely in the finish and aftertaste. There is also a neat little dry edge to the flavour. All in all, this beer could be close to fantastic and I'm hard pushed to tell what's missing and why I'm not uber-excited - probably something to do with overall balance. But it's not a huge gripe and I would certainly buy this one again. Klares Bernstein mit durchschnittlicher Schaumkrone. Malzig, etwas Karamell, keksig, nussig, leicht fruchtig, sehr süffig. Copper colour with an astringent lifting malt under base. Maybe a little to acidic for me but very well made. 2016 catch up - A good strong bitter. Very nice and actually quite refreshing. A good bitterness of hops and a nice strength from the alcohol. 500ml bottle from M&S, the Gyle. Pours clear yellow gold with a thin white head. Aromas of light citrus, pale malt, faint spice. Taste is more citrus and light sweet malt. Gets a bit buttery down the glass.